We had a wonderful holiday. Donna was so helpful and responsive. We didnt need a thing during our stay. My dad found a cozy recliner by the fire with a beautiful view of the mountains and the tv! We will be back again for sure!!! The condo is very close to downtown Conway yet far enough from all the traffic. Many attractions are also within a few miles. We travel a lot and rely on others feedback so I try to comment on things important to us. One of the most important factors is always cleanliness. This place was very clean. The mattress in the master was comfy for me, soft! The beds in the other rooms seemed also to be nice. The living room furniture was very comfortable, the kitchen had pretty much everything needed to cook. There is small patio out back which was nice to sit and enjoy the peace & quiet. Mind you we went before the busy season! There's plenty of places for the kids to play out back. There are no other condo's behind you just a nice view of fields. We don't like being in the middle of lots of traffic ( which is horrible in town) so it was a perfect location for us. Five min.from downtown Conway if you choose to go which is convenient. But if you don't there are plenty of places to eat, grab some groceries and a Dunkies a few minutes to the left of leaving the condo on 302. 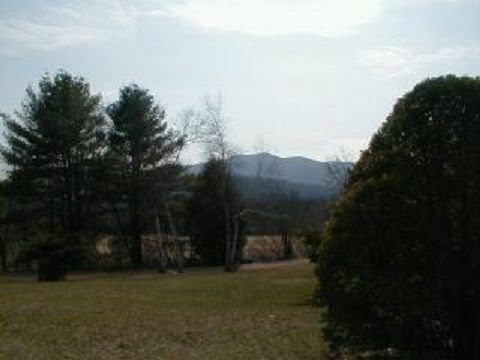 You are not far from the many attractions that the White mountains has to offer. We recommend this place for just about anyone with or without kids. The only drawback is the stairs to the bedrooms if you have mobility issues. We would definitely rent again if the occasion arises. Have fun, we are natives so we can say New England is one of the most beautiful, fun places to vacation. Thank you, I am glad you enjoyed your stay! This was our 3rd stay at this property. XC skiing literally out the back door. Free trail passes and xc ski rentals are available at Ragged Mountain shop (2 miles to the north). Trails are mostly groomed with good signage. Ice climbing at the north end of Cathedral Ledge is 10 minutes away. The road at Cathedral has great sledding. Walking distance to North Conway. Great value and location. Thanks again! Glad you enjoyed your stay! We have thoroughly enjoyed our many stays and vacations, during every season, over the past four years. Donna's townhouse is very clean, safe, peaceful, and comfortable, and it is situated in a perfect location with a gorgeous view of The Moat Mountains and the ledges. As an added bonus unlike anywhere else in the White Mountains, it borders acres and acres of working hayfields and conservation land that's packed with beautiful wild flowers, diverse wildlife, panoramic views of the mountains, rejuvenating mountain fresh air perfect for long walks, lovely streams and vernal pools, and groomed xc ski trails in winter maintained by MWV Ski Touring Center. The kitchen is very well equipped for those who would rather dine on home-cooked meals (we're vegetarians) in a very homey setting. The patio and 2nd floor balcony are great places to enjoy those meals and relax on warmer days. The condo is within a 5-minute walk to a general store and deli, to Subway, ice cream and souvenir shops, and the Intervale Visitors' Center. It's a short drive to North Conway Village, Memorial Hospital, Jackson, Glen, and so many major attractions. Above all, Donna is extremely accommodating to her guests. We will always savor our stays here for many more years to come. Condo is in the perfect area for Storyland just North of North Conway and the traffic. Our group of 2 sets of grandparents, a 3 year old and her parents were able to comfortably stay for 2 nights.